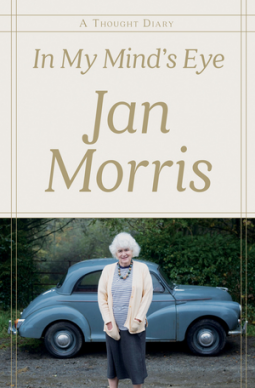 Celebrated as the “greatest descriptive writer of her time” (Rebecca West), Jan Morris has been dazzling readers since she burst on the scene with her on-the-spot reportage of the first ascent of Everest in 1953. Now, the beloved ninety-two-year-old, author of classics such as Venice and Trieste, embarks on an entirely new literary enterprise—a collection of daily diaries, penned over the course of a single year. Ranging widely from the idyllic confines of her North Wales home, Morris offers diverse sallies on her preferred form of exercises (walking briskly), her frustration at not recognizing a certain melody humming in her head (Beethoven’s Pathétique, incidentally), her nostalgia for small-town America, as well as intimate glimpses into her home life. With insightful quips on world issues, including Britain’s “special relationship” with the United States and the #MeToo movement, In My Mind’s Eye will charm old and new Jan Morris fans alike. LibraryReads votes due by 11/20 and IndieNext votes due by 11/5. A long=time fan of Morros’s work, I’m greatly enjoying her diary entries. They reveal a mind that’s as nimble as always, full of sprightly observations and full of mordant allusions. I look forward to completing the book, but sure it’s among the best of its form I’ve come across in some time.